As an eBay seller, it is your responsibility to understand your metrics and make sure you are meeting eBay's standards. So many times on the internet we see sellers acting victimized because eBay closed their account for no reason. There is always a reason, and usually, the reason is that the seller did not read the rules and policies, follow directions, or keep their metrics in check. 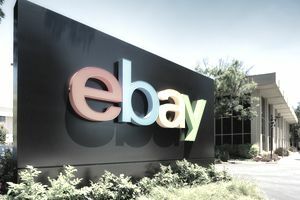 Here is an overview of the My eBay Dashboard, how to access it, and what it is telling you about your business. As long as you have 10 or more DSRs in the last 12 months, you will have a dashboard with metrics. DSRs, or Detailed Seller Ratings, are those little yellow stars that buyers click on to rate you when leaving feedback. If DSRs fall below a certain level, your account can be restricted. So it is always wise to know what your DSRs are and if you need to take action to improve them. Policy violations include things like listing counterfeit handbags, soliciting offsite sales, listing items that aren't allowed, using copyrighted or unauthorized photos, including false information in the description, or circumventing eBay fees. Learn what your seller level is and what you need to do to improve. Your eBay Seller Dashboard will tell you if you are Top Rated, Standard, or Below Standard. It is very important to watch because your seller status affects your fees as well as account restrictions. Remember that Top Rated Sellers receive a 20% discount on fees so the discount can be substantial. If you are ​nearing below standard status, you have time to take steps to improve your seller status so that your account is restricted, or worse, suspended. Defects happen when a seller's service is not up to eBay's standards. These situations include not shipping an item sold, not being able to fill an order because of inadequate stock, or not resolving conflict after a buyer has received an item. Too many defects and account status slips from Top Rated to Standard, to Below Standard. You can find out more about your defects by going to your dashboard, clicking on the Transaction Defect Rate tab, then choosing to download the report which goes back 12 months. Be careful not to go into the red zone, which is more than 2% of total transactions. if you are nearing the danger zone of 2%, put a bunch of items up for auction and sell at cost. You can increase your number of transactions and get some feedback to water down the defect rate. It is another important metric that should be addressed. Usually, if a seller has a large percentage of returns, it isn't about the product but something else. Photos may not capture the item accurately, the description may lack information, or something was miscommunicated in the listing. Make sure you are doing everything you can to represent the item accurately and prevent returns as a daily practice. eBay provides all the information every seller needs to keep their account happy, healthy, and in compliance. It is the seller's responsibility to make sure they stay on track and in compliance. Sellers don't get suspended for no reason; it is for one of the reasons above.